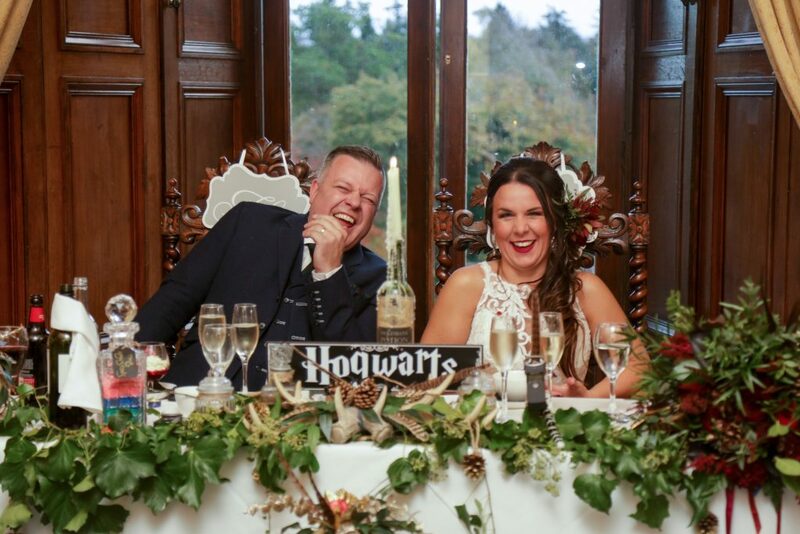 A Harry Potter superfan couple have tied the knot with a £19,000 wedding themed on the film franchise. 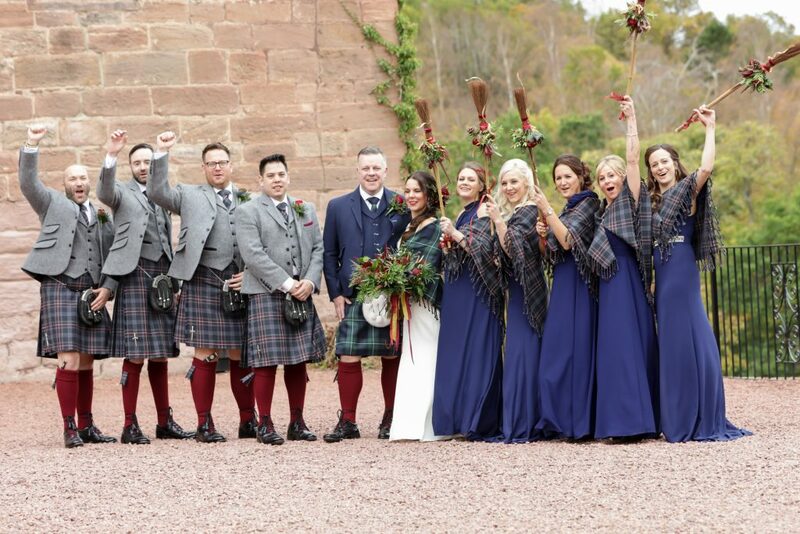 Newlyweds Caroline and Marcus Hewston, whisked their guests off to Scotland for a magical Harry Potter themed wedding. 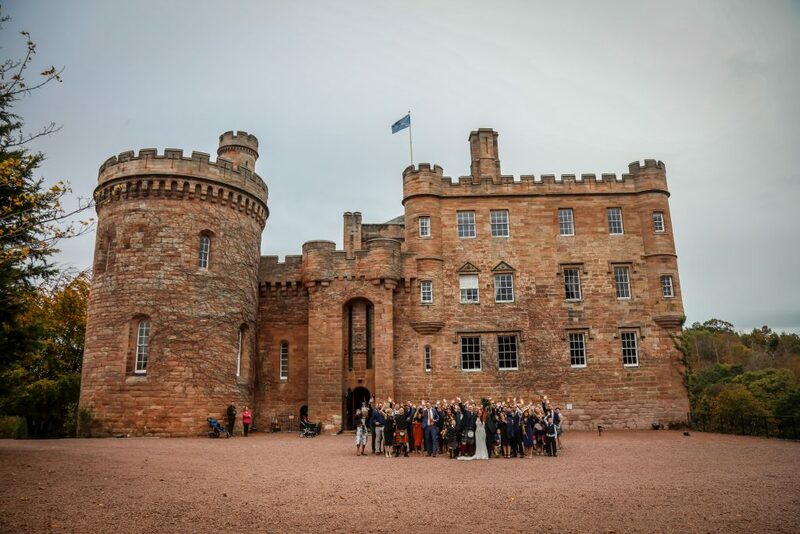 Three years after Marcus, 46, proposed, the loved up couple, from Walsall, West Midlands, finally married last week [October 20] at the stunning Dalhousie Castle in Bonnyrigg, Edinburgh. 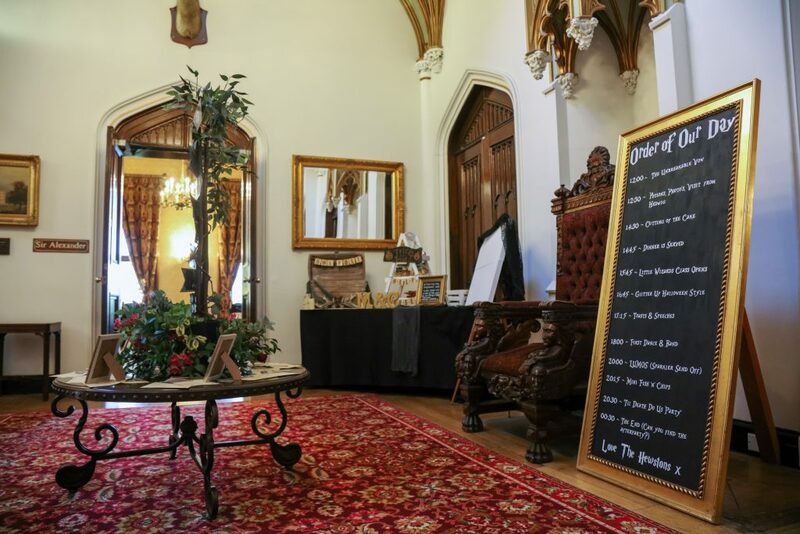 Their love of history and all things Harry Potter inspired the gothic look for their wedding – with the nuptials featuring magical mirrors and broomstick bouquets. 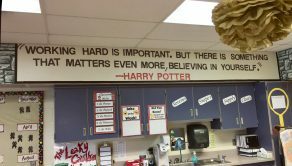 Insurance broker Caroline, 35, said: “We’ve both always loved Harry Potter – so with the magic of it, and having children, we just thought it would fit perfectly. 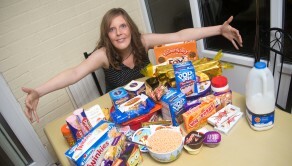 “I found loads of ideas online but I didn’t want to re-create someone else’s vision, I wanted my own wedding. 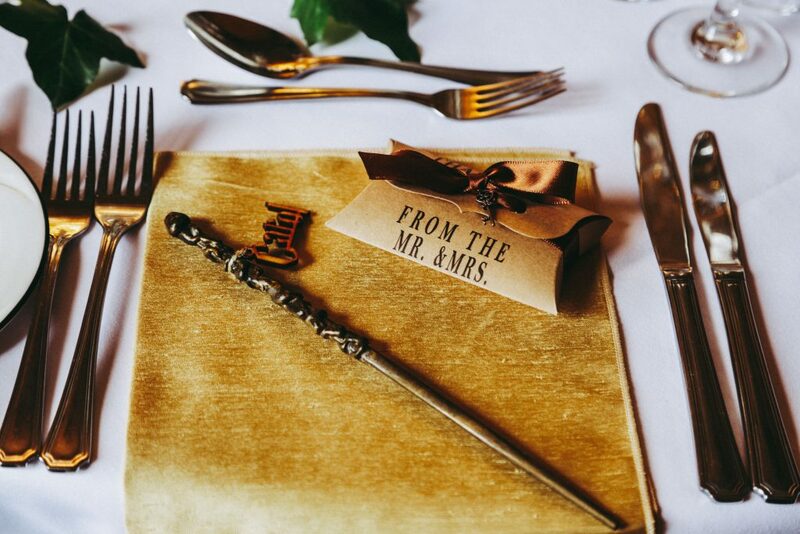 “We had gold antique mirrors, everything was written in the Harry Potter style font, and we even had broomstick bouquets for the bridesmaids. 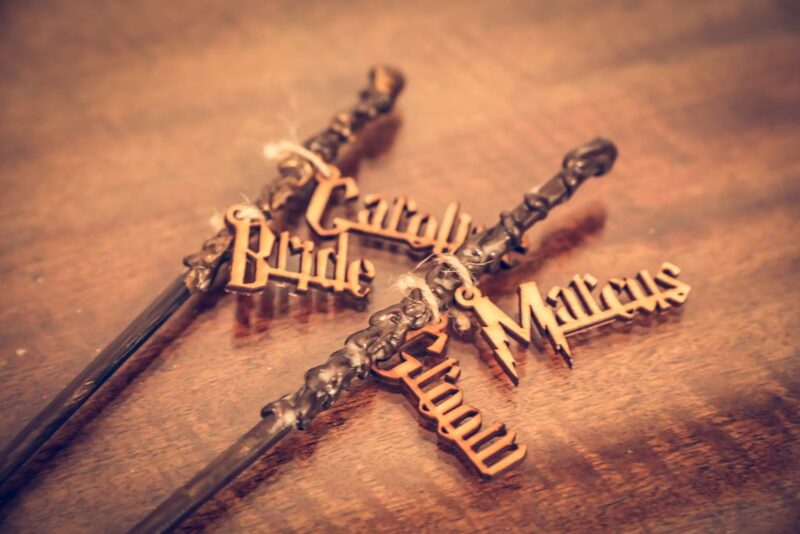 “Me and my bridesmaids spent ages sanding down bottles, printing of potion labels and crafting different decorations. 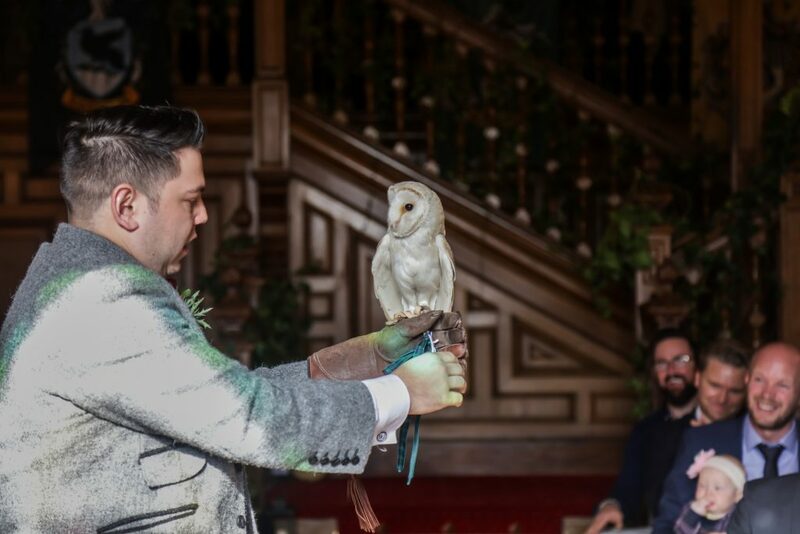 “A white owl from the falconry actually delivered our rings during the ceremony, and we had Hedwig’s theme playing as it flew down the aisle. “After the ceremony our guests got to meet the owls at the drinks reception which was lovely. “The wedding program I printed off was in the style of Harry Potter’s ‘The Daily Prophet’ which had the order of the ceremony on. 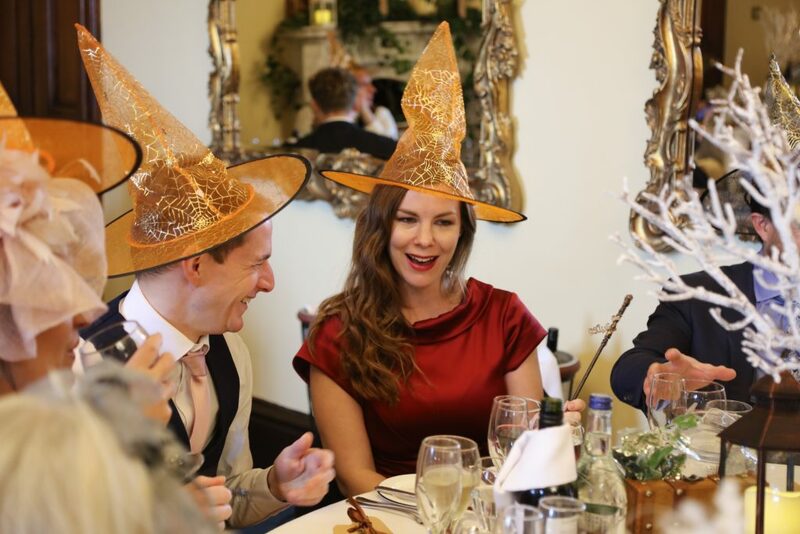 As well as the ceremony being all things Harry Potter, it didn’t stop there – with the evening celebrations turn into a spellbinding Halloween celebration too. 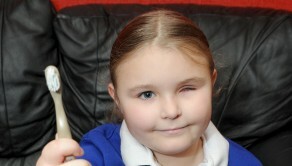 Mum-of-two and stepmum-of-one Caroline said she wanted to ensure that everyone was involved and even had a dressing up station with a spooky Halloween makeup artist. Despite the wedding taking so much planning and crafting, Caroline said she thought it was perfect and wouldn’t have had it any other way. 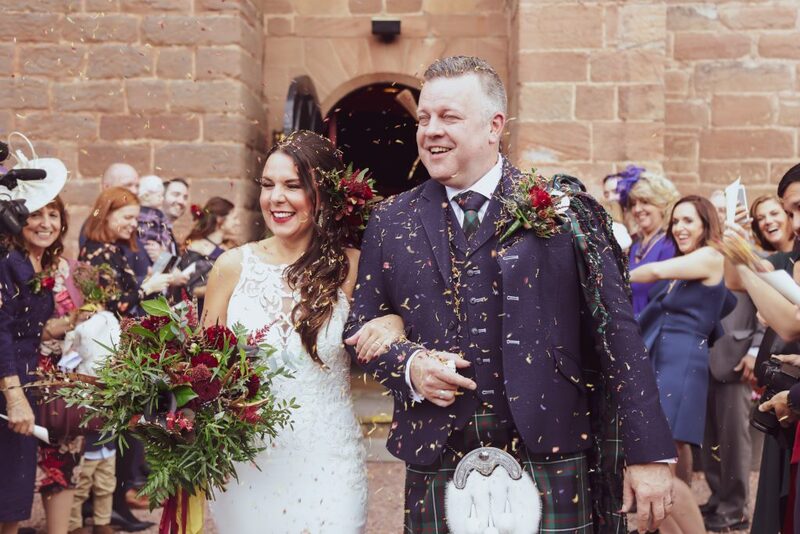 She said: “We went to Scotland for a holiday and we booked to stay at Dalhousie Castle and we just fell in love with the venue. 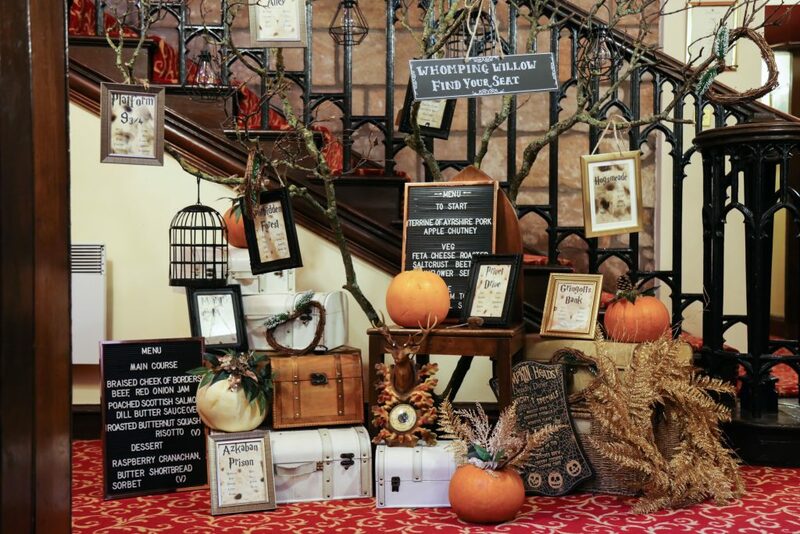 “When we decided on an October wedding we thought Halloween, and then we also found out J.K. Rowling had written a lot of the Harry Potter books in Edinburgh. 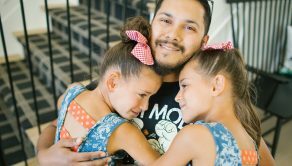 “We had a humanist wedding and we wanted it to be different – we started it off with a Mexican hug. 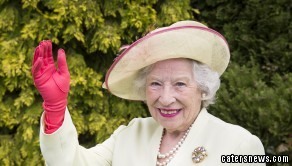 “Everyone fully got involved in the dressing up and the face paint – I loved it and everyone else did too. “The wedding was like my little creative outlet – I love planning things and being able to plan my own wedding was amazing. Caroline and Marcus, who met at work, have two children together and say their eldest, three-year-old Harvey, brought them together. Marcus proposed to Caroline in October 2015 on a family holiday in Mykonos after they found out they were pregnant with their youngest Lilibeth, two. They wanted to wait until the children were old enough to walk down the aisle as page boy and flower girl. Caroline said: “Walking down the aisle I felt really calm and quite excited because the day before the wedding we spent about 12 last minute hours prepping for it. 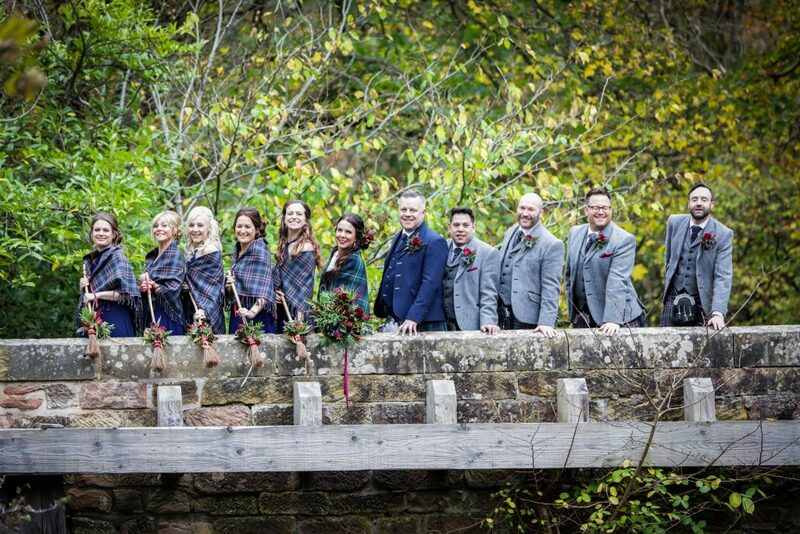 “With the shawls the bridesmaids looked quite witchy and in the speeches Marcus said he thought the brooms complemented then all perfectly!